Timpani are a set of pitched drums, each with a single head stretched over a copper or fiberglass bowl. Most often used in the orchestra, their large size provides bass notes within the percussion section. Thanks to many advances over the last two hundred years, contemporary composers and timpanists can now access a wide range of creative sounds when playing solo or in an ensemble. 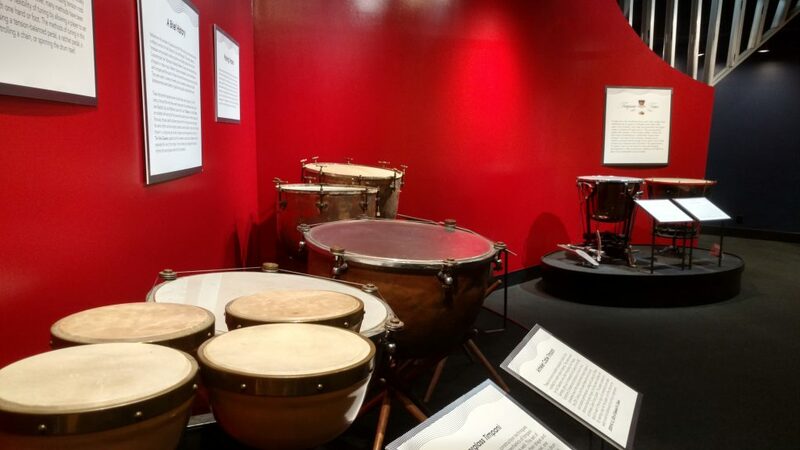 View our historical collection of timpani, beginning with instruments from the early 19th century and continuing to the present day. Listen and learn as Rebecca Kite and Barbara Allen share stories about making timpani in the 1980s. Observe how technology changes allowed for the development of timpani as a solo instrument. Play our interactive timpani and learn how to get many different sounds from one drum.